Software for Administering Outcome Questionnaires to Clients for Psychologists. Track Outcomes, Inform Treatment. For Psychologists, Psychiatrists & Counsellors. 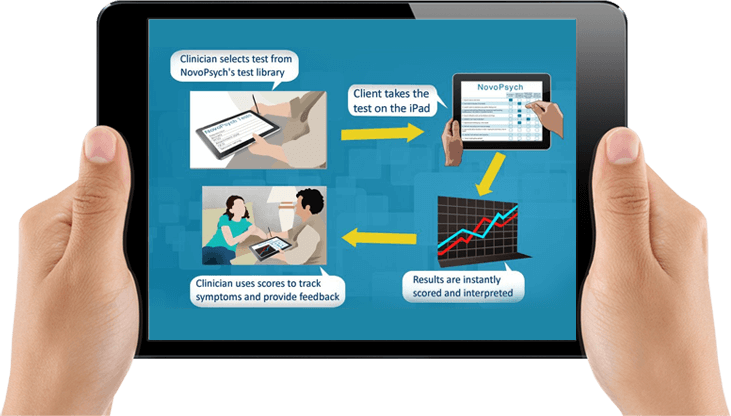 NovoPsych’s test-delivery system graphs symptoms over time so you can get a clear historical picture of your client’s progress. Show your clients the progress they’ve made with easy to read graphs. 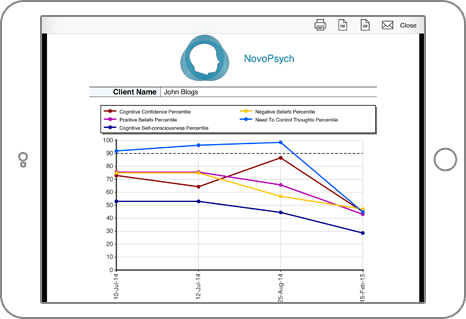 NovoPsych automatically calculate percentile ranks to give you a clear indication of your client’s symptoms and how they compare to normative samples. We deliver tests with high standards of validity and reliability. We provide details on the data by which norming and other metrics are based, and provide the resources for clinicians to appropriately interpret the results. We have dozens of assessments for depression, anxiety, PTSD, OCD and much more. 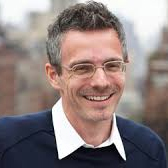 What assessments does NovoPsych administer? "The best app for assessing patients with routine and common screening instruments . I like the graphs, which demonstrate score trends from one visit to the next"
"With NovoPsych I am able to review outcomes of assessments with clients in a few minutes. I value evidence based practice, and now NovoPsych has helped me produce “practice based evidence” too." 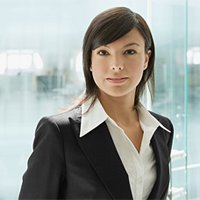 Choose from administering assessment in your office or scheduling regular assessments via your client’s email. The routine monitoring helps your client’s keep on track and reduce relapse.